This year marks the 30 year anniversary of a franchise that revolutionized the world of video games. The gaming industry would forever change when it came to the category of fighting games with the debut of Street Fighter. Gathering around arcades to go unbeaten or to beat the kid that was already unbeaten became a tradition thanks to the impact of Street Fighter. 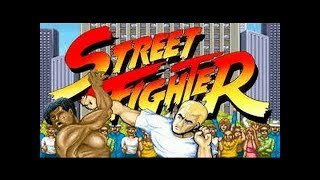 We would later have franchises such as Mortal Kombat, Tekken, Dead or Alive, King of Fighters, etc, but Capcom's beloved and revered Street Fighter was the architect for the fighting game scene. 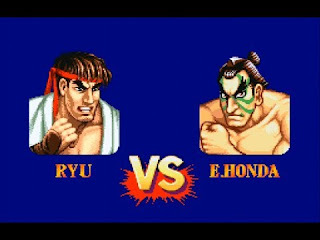 Street Fighter popularized the fighting genre, much like what Final Fantasy VII did for JRPGs (Japanese Role-Playing Games). Street Fighter was a game unlike anything else at that time. 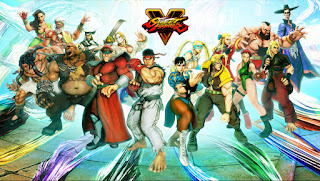 The initial characters are the heroes, Ryu and Ken. The main villain was originally a 7'4" fighting machine from Thailand named Sagat. These would become the three central figures of the franchise's history. 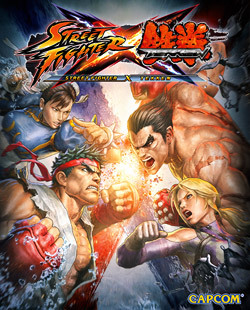 Ryu and Ken are the heroes that are the focal points of the franchise. They are forever friends, but great rivals as well. They have trained together since they were kids, mastering the "Hadouken" technique. Both fighters have similar uniforms. Ryu wears white, while Ken wears red. I would compare them to Bret Hart and Shawn Michaels for my fellow wrestling fans. Ryu is Bret Hart, while Ken is Shawn Michaels. 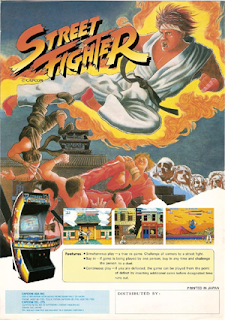 Street Fighter went from a standard fighting adventure game in 1987 to become a fixture among friends on the consoles with Street Fighter II in 1991 for Sega Genesis and Super Nintendo. As someone who had it for Sega Genesis, I would have to say that it was better on that system. With the advent of Street Fighter II, Capcom would open the envelope with more iconic fighters that would define a generation of video game fans for years to come. The pioneer for female fighters in gaming. 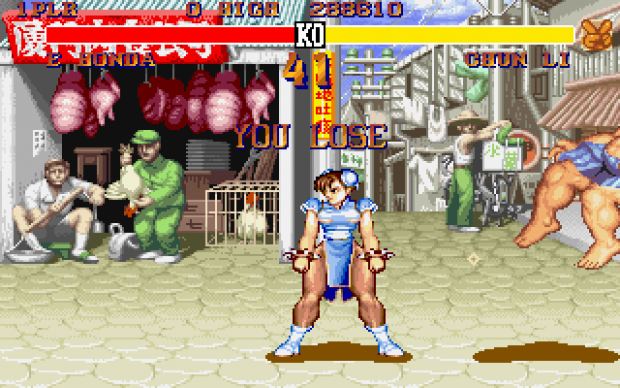 I would have to admit that Chun-Li had the most powerful set of legs of any woman in video games. Those were truly legs of Thunder. William F. Guile was a Col. in the United States Air Force. 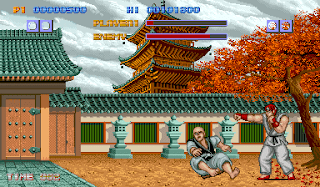 Guile leaves his country and family to fight in the World Warrior Tournament to avenge the death of his friend Charlie Nash (who appears in later in the series), who was killed by M. Bison sometime before the events of the game. 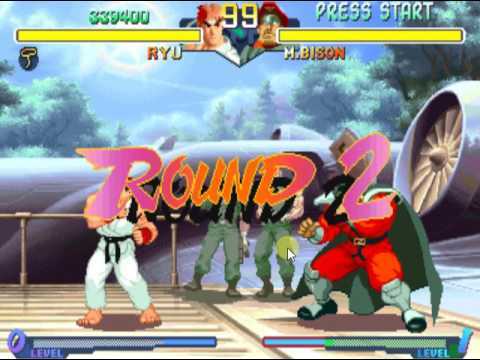 In the end of his story, Guile defeats Bison but he is dissuaded from killing him by his wife and daughter. He is most remembered for his Sonic Boom and flat top hairstyle. The Leader of the Shadaloo Army and the man responsible for the World Warrior Tournament. The Ultimate Villain of the Franchise. One of the most exciting characters in the history of the legendary franchise. He is also one of the biggest trolls in the entire game with how he can easily shock his opponents. A ruthless boxer from Las Vegas that was influenced by Mike Tyson. Balrog was banned from boxing for killing his opponent in the ring. He was later recruited by Bison to join the World Warrior Tournament. A 7-foot Russian Wrestling Machine. Zangief was the combination of Hulk Hogan and Nikita Koloff. He paved the way for other wrestling characters in video games. Another Warrior in Bison's Army. Conceited about his appearance, but highly skilled fighter. Indian Warrior with a fighting style totally based on Yoga, who can also blow fireballs. Master of the Guillotine. Sumo Wrestler with a chop as fast and as dangerous as Chun-Li's kicks. He seeks to redeem his sport. This game also introduced throws and blocks in the fighting engine. The combinations were mind blowing. Each fighter also had their own backstory, blood type and arena with breakable objects. My favorite areas were Guile's Arena and Balrog's Arena. The plot was standard for any tournament style story. Conquer the champion and receive your rewards. 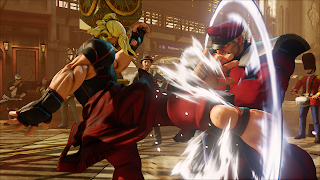 M. Bison was the Final Boss to fight in the Shadaloo tournament. The special moves were easier to pull off but still had a learning curve to them. 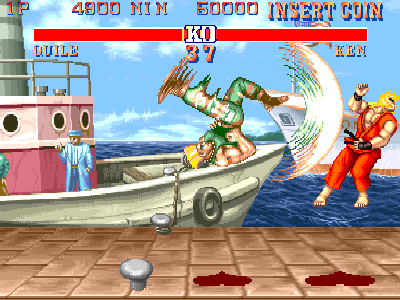 Hadoukens and Sonic Booms became a part of popular culture because of Street Fighter. This has become the standard bearer of the franchise. 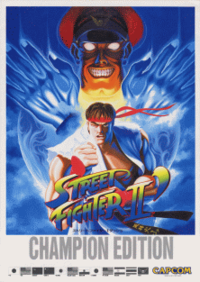 Street Fighter II would conquer the gaming market and never looked back as Capcom built on the momentum with other installments from "Super Street Fighter II" to "Street Fighter II: Champion's Edition". These versions would introduce new characters such as Cammy (Shadaloo Agent), Fei Long (Bruce Lee clone), T. Hawk (Tomahawk), and most importantly Akuma. 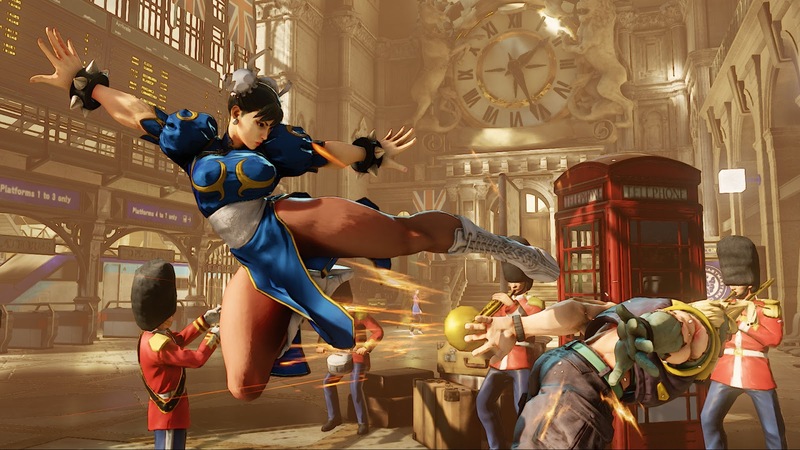 The competition would become deeper moving forward, and Capcom had to find ways to adapt. 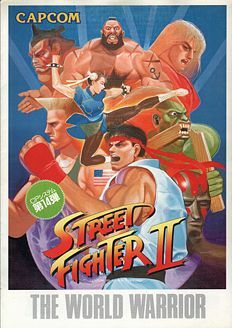 Capcom stayed on top with the success of the Street Fighter II reboots, but it would start to lose its grip on the video game crown. With the rise of Mortal Kombat, Tekken, Virtual Fighter, Killer Instinct, etc, Street Fighter would find itself in deeper waters. 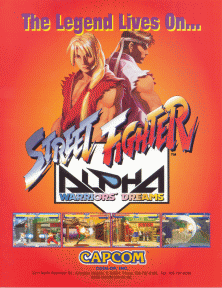 To keep themselves within the battle, Capcom released one of its most significant Street Fighter titles in franchise history with Street Fighter Alpha in 1995. Alpha bridged the gap between I and II and fleshed out the old backstories for new ones. We were introduced to Charlie Nash, Guile's friend who was murdered by Shadaloo. 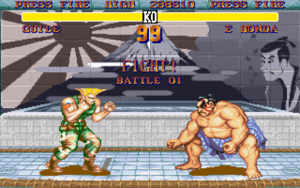 Charlie was a new character with Guile's fighting style as well as a similar hairstyle. Precog Rose held a special connection with Bison, using Soul Power against his Psycho Power. Dan Hibiki became the resident troll of the series as comic relief. 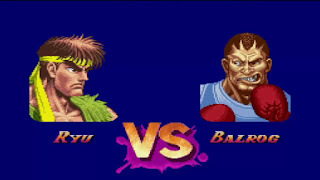 Alpha also introduced Cody and Rolento from the Final Fight games. 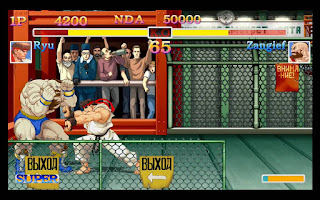 Adon from the very first Street Fighter was also featured in Alpha. He would later return for SF IV. 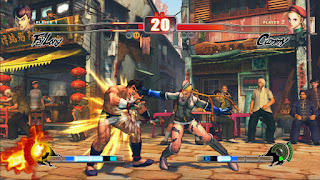 To keep up with the rapid rise of 3D graphic fighting games, Capcom released Street Fighter EX. However, that project bombed rapidly. Capcom would redeem themselves with Street Fighter III. The original idea was to have an entirely new cast of characters and drop every character that was previously associated with the game. 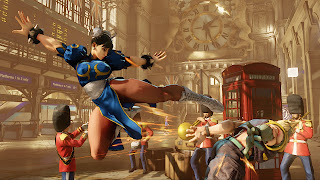 However, when the news leaked, fan outrage forced Capcom to rethink their idea and keep three of their flagship stars (Ken, Ryu, and Chun-Li). 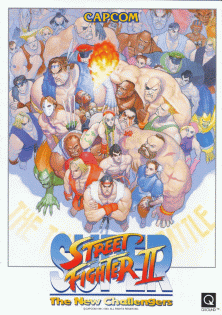 For Street Fighter III, most of the roster was overhauled with new faces that were doppelgangers of past fighters. The leading star for SF III was Alex, a Manhattan-bred wrestler looking for revenge by defeating Gill, a superbeing that was the Final Boss in the new tournament. Gill's tournament was a veiled search for candidates to brainwash and add to his cultish army. Alex was a hybrid between Hulk Hogan, Axl Rose (Guns & Roses) and Triple H. Alex had the arms like Hogan and even ripped his shirt before a fight. His archrival Hugo was based off Andre The Giant. One of the coolest parts of the game happens when Alex and Hugo have their staredown before their fight. It is a tribute to Hogan vs Andre from WrestleMania III. You could say that Alex is their replacement for Guile/Charlie as the Army representative fighter, while Hugo is the replacement for Zangief. You also have Dudley, who is the dignified gentleman boxer used as the doppelganger for Balrog. Necro is their way of switching out Dhalsim. The roster was mainly comprised of mutants and lab experiments (Necro) or oddballs with superpowers (Gill wearing a Speedo). 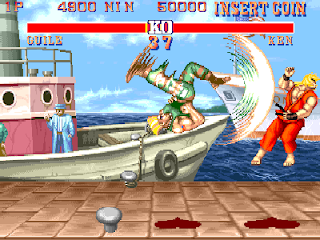 Besides that, SF III delivered with faster gameplay and enhanced fighting mechanics with a massive super arts combo system. 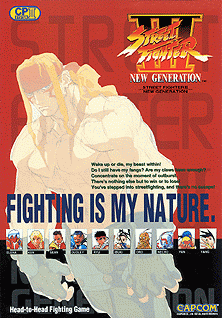 Street Fighter III: New Generation was released February 4, 1997, and it was well received. Even though it was not a 3D based game, fans did not care because the gameplay more than made up for that. 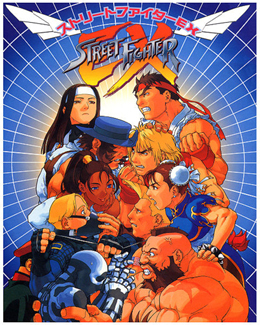 Riding the successes of SF Alpha and SF III, Capcom would branch out into crossing over with different franchises, namely the world of Marvel Comics. In 1995, Capcom licensed two fighting games based on Marvel Comics best-known superheroes: X-Men Children of the Atom and Marvel Super Heroes. In 1996, it was time to broaden their horizons by combining franchises. This would lead to X-Men vs. Street Fighter, as fans desired a fantasy dream match type of game. X-Men vs. SF would give fans a taste of that. The follow up to that game would open the floodgates with the first Marvel Superheroes vs. Street Fighter. This is what led to the iconic Marvel vs. Capcom Series. This is where players could have a series of fantasy matchups. Wolverine vs. Ryu, Gambit vs. Ken, Ironman vs. Megaman, Spiderman vs Hulk, etc. MvC2 broadened the horizons of the Fighting Game Experience and was in many ways the precursor to other crossover games from Super Smash Bros. Melee to Tekken vs Street Fighter. 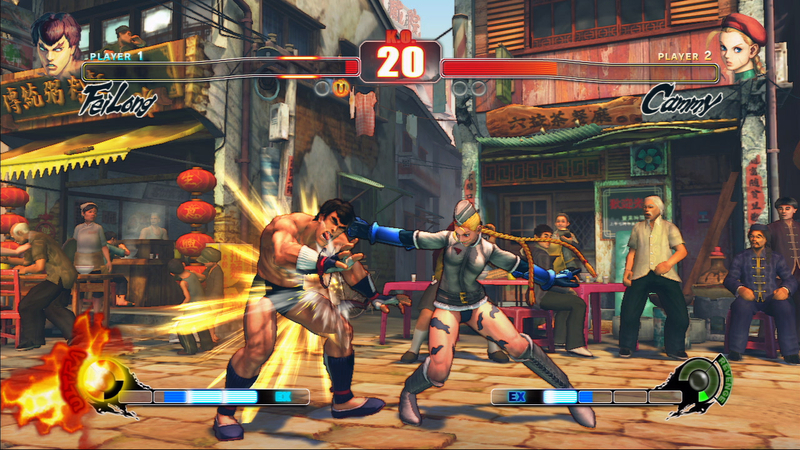 By 2009, Capcom decided to go back to their roots with SF IV. However, they upgraded their graphics significantly with the upgrade to Playstation 3 and X-Box 360 in 2009. 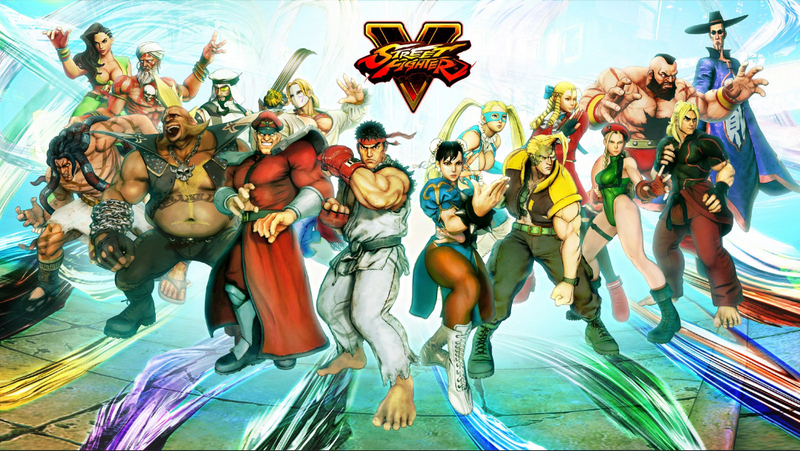 Most of the classic SF characters were brought back for this game (Ryu, Ken, Chun-Li, Sagat, Guile, Blanka, M. Bison, Vega, etc). They also added some new characters, but it was the classic SF that we knew but with a remix. My biggest issue with this was the fact that they re-released this game so many times whenever they added someone new to the roster. 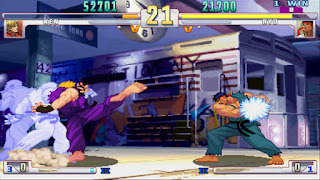 When it came to Street Fighter V, it was a continuation of the events from Street Fighter III after Alex won the World Tournament. However, a very familiar figure made his return: Charlie Nash. This time, Charlie's body was patched up like a zombie. Another surprise was the return of Birdie, who was featured in the first Street Fighter. 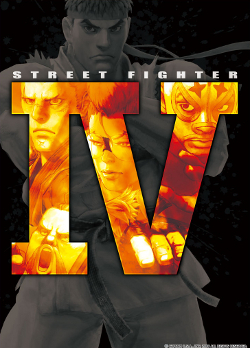 SF V pretty much built upon what SF IV previously created. However, the biggest complaint was that there was no Arcade Mode. The lifeblood of SF is the Arcade Mode. That is what made the series popular in the first place, with the original arcades in the age before online gaming. Graphics were great, but the game lost points because of an essential feature, along with the fact that they did not have Sagat. However, I still appreciate the presence of SF in the gaming industry. 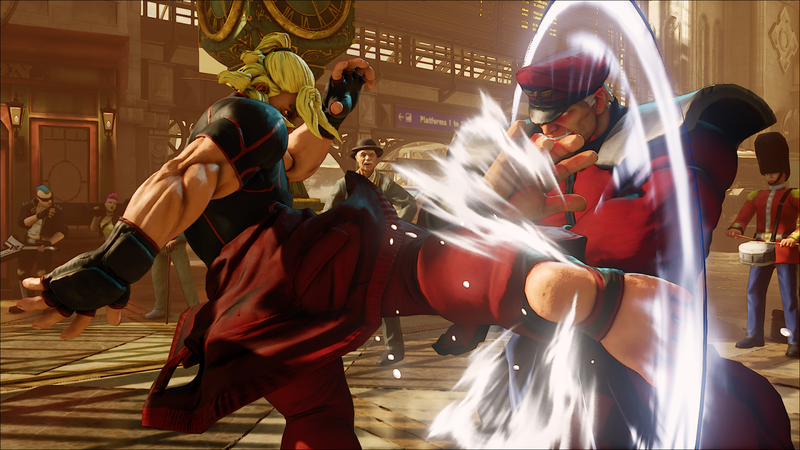 Overall, Street Fighter is the Godfather of the fighting game genre. People that are not frequent gamers know about Street Fighter. This game has transcended the gaming world and entered the pop culture lexicon. The Street Fighter franchise pioneered gaming the way that Wilt Chamberlain pioneered basketball, the way that Chuck Berry pioneered rock & roll, Jim Brown for football, etc. This series is one of the building block gaming franchises in history along with Mario, Zelda, and more. 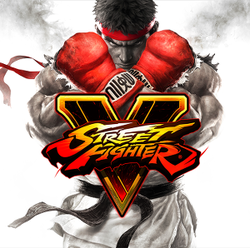 Street Fighter is consistently ranked among the greatest games of all-time and the legacy speaks for itself. 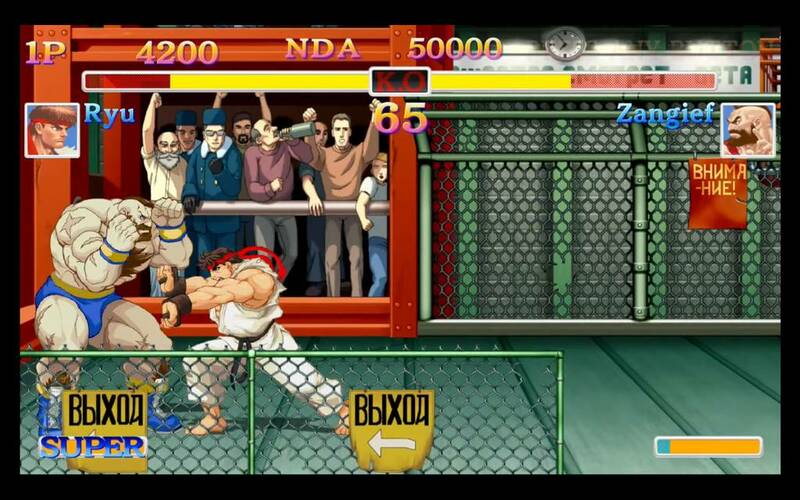 The video game world would feel incomplete without the Impact of Street Fighter.